What if I am diabetic, pre-diabetic or have food intolerances like gluten? Are you diabetic or pre-diabetic? Have you been told you need to eat less sodium? Do you avoid or are intolerant to certain foods like gluten, dairy, or pork? Would you like to eat a Paleo-friendly diet? Personal Trainer Food is flexible; and all our nutritional information is available so you can tailor your meal plan to your dietary needs. If you want to see the nutritional information for a specific meal item, simply click on the image of the item and you’ll be taken to the nutritional information. The chili pepper indicates the item is spicy. The tape measure indicates less than 733 mg of sodium. If you need help choosing your menu, our Weight Loss Coaches would be happy to help you create the perfect plan for you. Pick up the phone and call one today at 1-800-273-1686 x4, email WeightLossCoach@PersonalTrainerFood.com, or chat on www.PersonalTrainerFood.com. 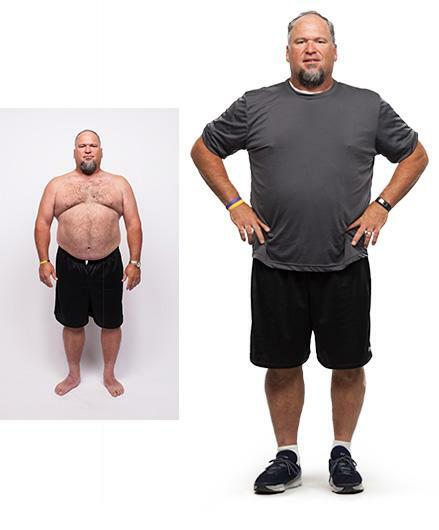 "My blood sugar was at pre-diabetic levels before starting Personal Trainer Food. Blood sugar readings from the mid 90’s to 120 used to be the norm for me. The last few times I checked, they have been 82, 80, 76. Each of those numbers are huge victories for me." I’m about to turn 50 and a Type II diabetic, I have found it incredibly difficult even losing a pound. I was thrilled that I lost 21.7 pounds in 28 days on this plan. -– Keith M.
Yes, I want my food now!